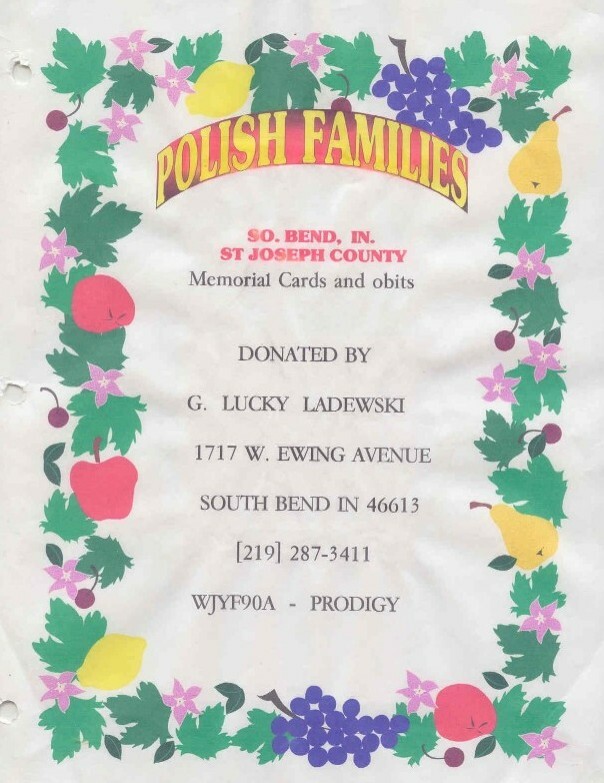 The Ladewski Papers - Search the digitized histories of local immigrant families assembled by South Bend genealogist Gertrude "Lucky" Ladewski and her sister Gene Szymarek . Please address any corrections, ammendents or additions documents concerning a specific family section to Jim Piechorowski at jamespiech@aol.com. I remember one of the first issues I ever typeset of the Newsletter of the Polish Genealogical Society (as the PGSA was called back then) had an article on Lucky Ladewski. I was sorry to hear she had passed on, and am glad to hear youre working to restore and digitize her work. Luckys obituary in the South Bend Tribunes, February 22, 2002 edition celebrates the life and aspirations of a lady in love with life and determined to achieve whatever she set her mind too. I regret never having had the opportunity to meet her in the living years. G. Lucky was an accomplished woman. As an author and using her pen name of G. 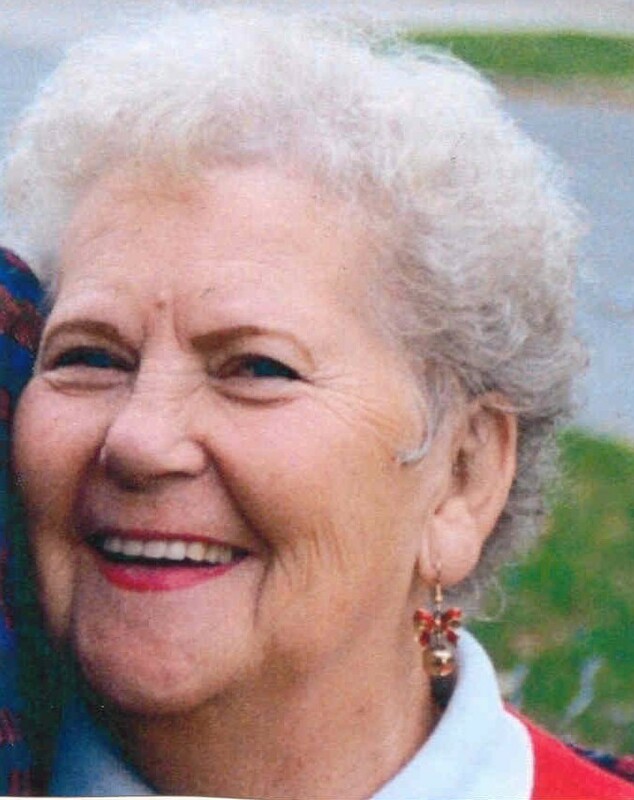 Lucky her column Tell It Like It Is was highly admired and respected in two papers in which she wrote: The Polka World and The Polka News. After a battle with cancer, she coordinated, through the Polka industry and her column in 17 states a cancer fund drive in which $10,000 was raised for cancer and research. 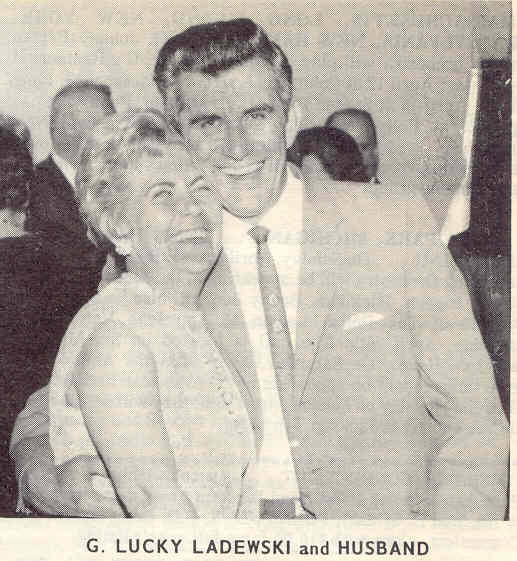 Lucky and her husband George founded Polka Partner Records which opened many doors. Through the polka industry here in South Bend they created The Polka Power / Club. Her thirst for her heritage did not stop here. Had it not been for her sister, Gene Szymarek, drafting Lucky into her personal effort to write a family history, the twelve case of written polish family histories might have never found their way to the Northern Indiana Center for History. Gene Szymarek, joined the South Bend Genealogical Society and discovered that she was the only person there researching Polish families. In additional she was told that it would be impossible to get any information from Poland. Believe it or not, Lucky was not always right!! Although, we do not revise Luckys original work we do enter correction pages by living family members as an addendum page to the original. As a tribute to Luckys Obsession and our effort to document the immigrant migration to the Northern Indiana we are accepting New Family Data into the Ladewski Papers. You do not have to be Polish to add your family information, the current database contains many National Origins. We ask that you consider submitting your family tree if you know the village/town your ancestors came from in the old country. We currently have 275 family trees in the database containing origin information, which allows the researcher access to foreign Church Records. Upon receipt we will establish a family file for your name in the database or supplement your current family records. We ask that you submit your scanned data in JPEG format or copies of the originals to the Email or Postal address listed below. Many contributors attach their Email address to the Family File in hopes of being contacted by other researchers. We will NEVER attach your address to any data unless you authorize us to do so in writing. After a year and a half of compiling and processing the files of Lucky, I must say that it has been a pleasure to be a part of putting this Great Lady's works on the web site. Thank you Jim for all that you have done, Thank you to Lucky's family for their generosity in donating the files, and Thank you Lucky for all your hard work, that started all of this.